This entry was posted in Uncategorized on September 28, 2017 by Jennifer Gepson. This entry was posted in Uncategorized on September 26, 2017 by Jennifer Gepson. 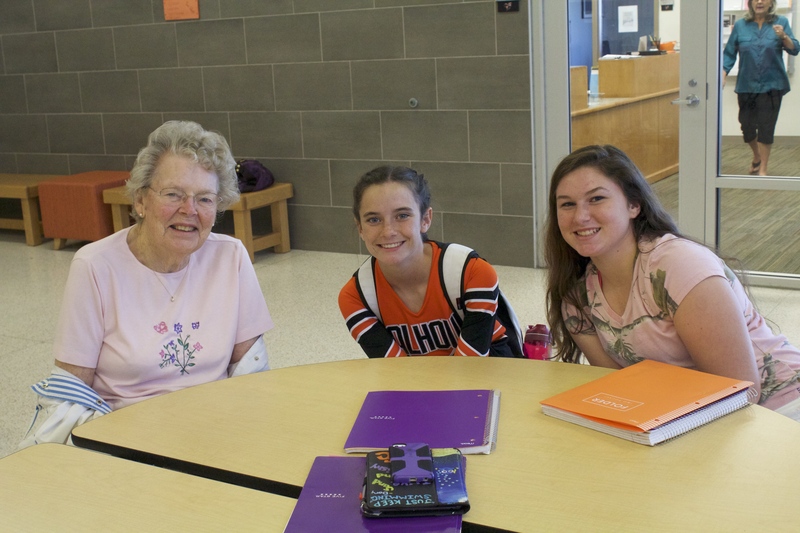 The Introduction to Theatre and Communications classes enjoyed spending time with visitors from Autumn Pointe. 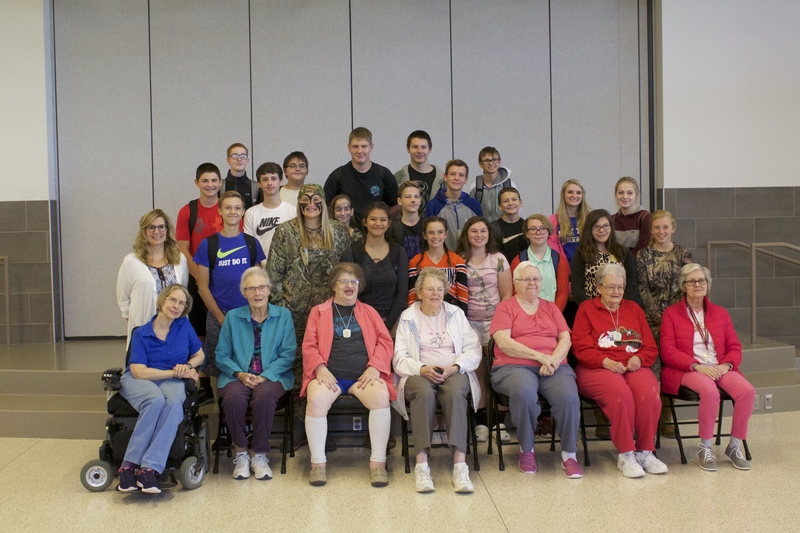 The Theatre students did a great job presenting a dramatic reading of the “Spider and the Fly” by Mary Howitt and entertaining the Autumn Pointe residents with some theater games. 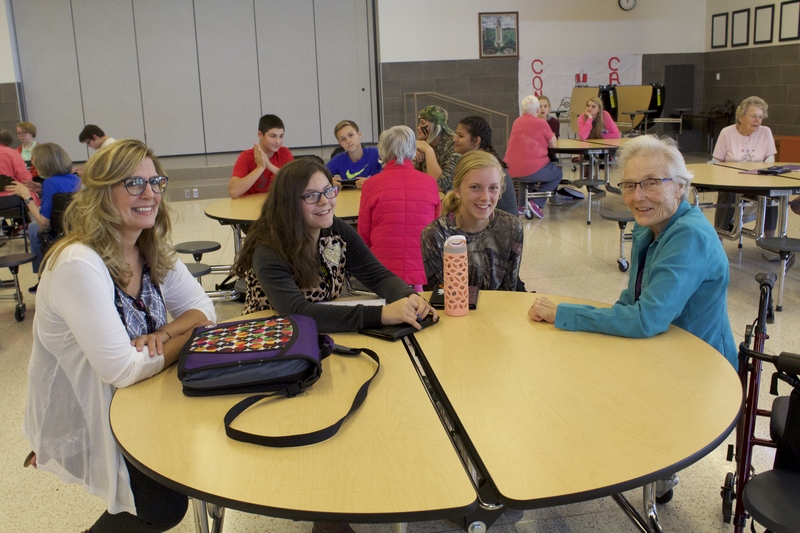 The Communications students sharpened their presenting, conversing, and listening skills with more personal interactions with the residents. A wonderful time was had by all! This entry was posted in Uncategorized on September 9, 2017 by Jennifer Gepson. The Cheerleaders are raffling off a pair of Nebraska football tickets. 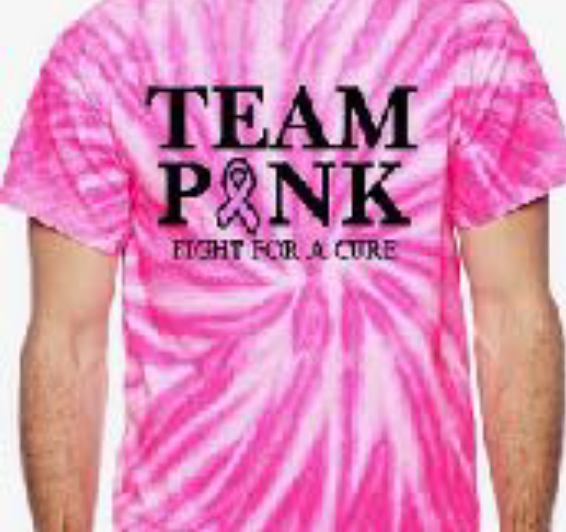 Raffle tickets are 1 for $5 or 4 for $15. If you win you will receive 2 tickets to the Nebraska-Ohio State matchup on October 14th. They are club level seats with your own private entrance and concessions. The winner will be drawn on October 2nd. Contact Mrs. Johnson at karlijohnson@ftcpioneers.org if interested in buying some tickets! 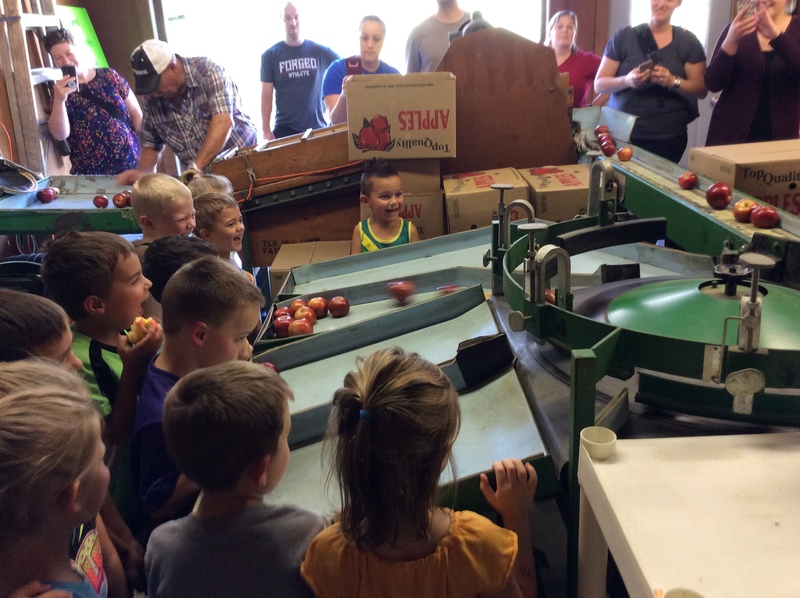 Preschool took a field trip to Super Bee Orchard in Fort Calhoun. 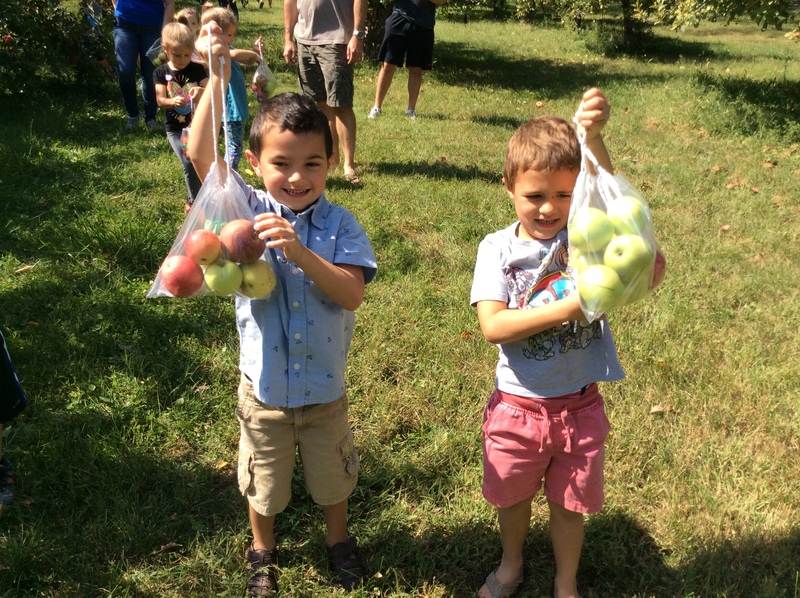 They had a great time picking different types of apples. 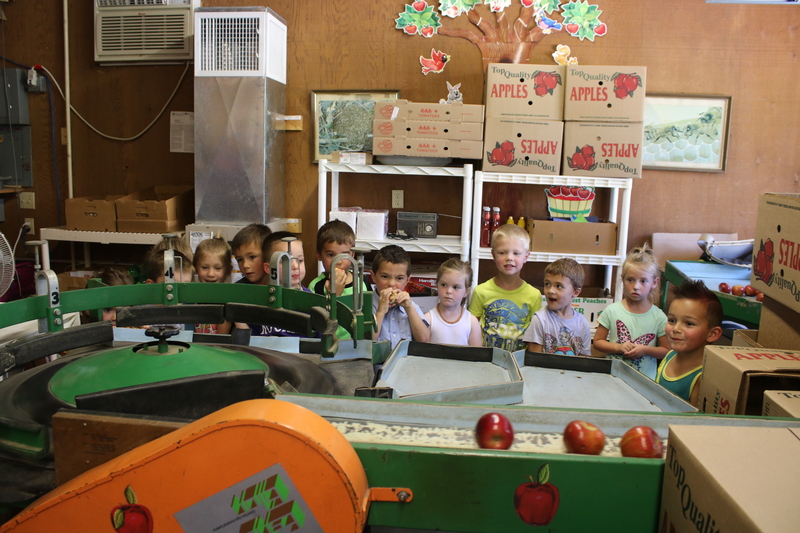 The preschoolers also got to check out how the apples are cleaned, sorted and stored. 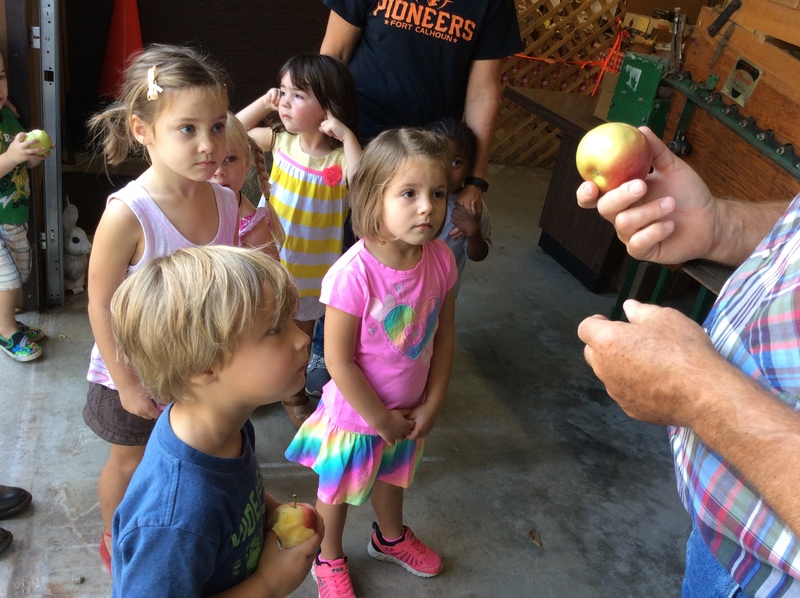 While visiting the orchard, they got to walk inside the refrigerator where the apples are kept. 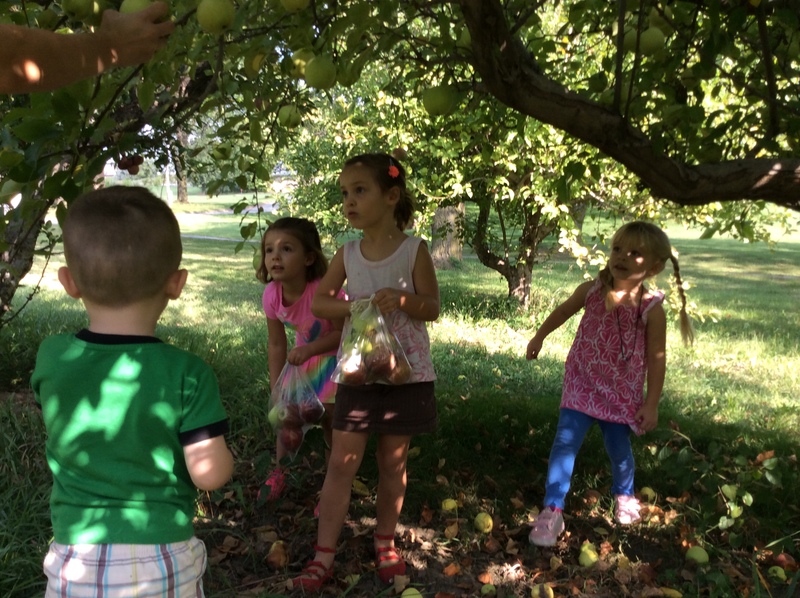 It was a perfect day for apple picking!! 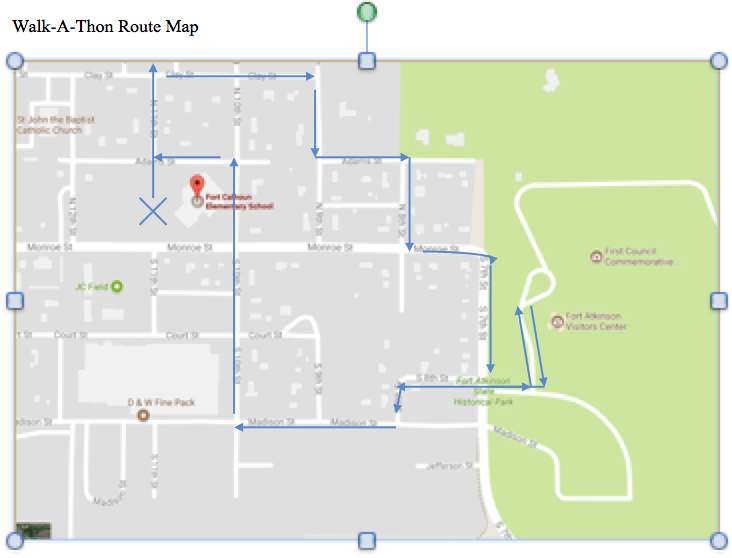 This year in lieu of our Magazine Drive, the PFE is hosting a Walk-A-Thon as our main fundraiser. Money from this fundraiser will be used to improve the school for our children (technology needs, etc). 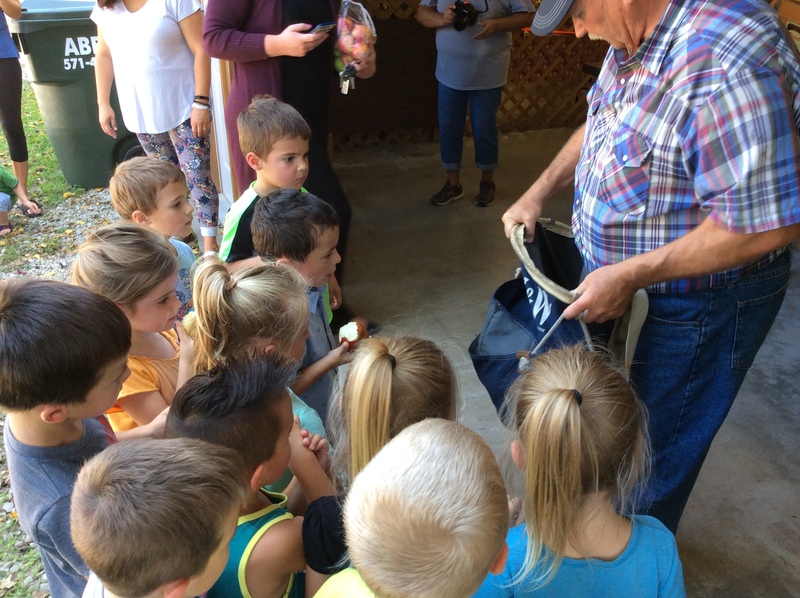 ALL the money raised from the Walk-A-Thon will return to the school, unlike in past years where a large percentage went back to the company that ran the Magazine Drive. We will be collecting donations for 3 consecutive WEDNESDAYS in September (9/13, 9/20, and 9/27). Please use the form below if you are submitting cash or checks. If your sponsors wish to pay by CREDIT CARD, direct them to our Walk-A-Thon site……………. The children in the class (PS-2nd & 3rd-6th) who raise the most money each week will also get another entry into the large prize drawing & the Teacher of the Class will receive a prize! We will also be offering an “ALL ACCESS PASS” for a donation of $35/child the first week donations are collected (must be submitted by Wednesday September 13th). This PASS will allow your student to receive all the weekly small prizes as well as have their name entered two times per week in the drawing for the larger prizes. Finally, we will be awarding an AWESOME prize for the 2 students who bring in the most donations (PS-2nd & 3rd-6th)…. If we reach 80% of our fundraising goal ($9,000), PFE will host a movie and popcorn for the school! If we reach 100% of our fundraising goal ($11,250), PFE will provide lunch for the students and staff the day of the WALK-A-THON! We hope this will be a fun event to help encourage school-spirit and raise valuable funds to help our school and our teachers! If you have any questions, please do not hesitate to reach out to me via email (michelletjardes@icloud.com) or phone (402-350-7549). This entry was posted in Uncategorized on September 7, 2017 by Jennifer Gepson. Time to clean out the closets and drawers!!! We are accepting gently used Pioneer apparel! Pre-owned, good condition, Pioneer apparel items will be collected at both upcoming home football games- On Sept. 8th and Homecoming game on ​Sept. 15th. For every family who donates at least one or more FC apparel items, a 20% coupon (for a new Pioneer apparel item) will be given. *One coupon per family per night. This entry was posted in Uncategorized on September 6, 2017 by Jennifer Gepson.